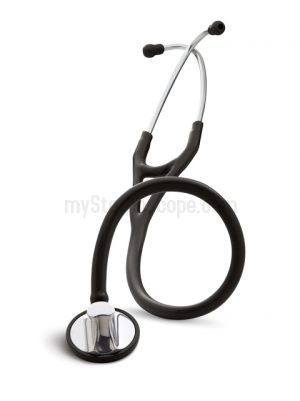 Provides the best acoustics Littmann™ stethoscopes offer with significant improvement in low frequency responses. Solid stainless steel single-sided chestpiece. Headset assembly, with double lumen binaurals, is permanently set at an anatomically correct angle to minimize air leaks and prevent loosening over time. Two-tubes-in-one design reduces noise from two tubes rubbing together. Soft-Sealing eartips ensure an excellent acoustical seal in the ear canal with maximum comfort. Patented Littmann™ Special Procedure Adapter allows auscultation of difficult body parts; and pediatric, or emaciated patients.